Hooray! If you’re reading this it means you made it through 2017 to 2018! Pat yourself on the back. I’m hoping 2018 is going to be the best year ever. I know it probably won’t be. But we can hope, right? With that in mind, I’m posting my list of Top Five Favorite Things of 2017. 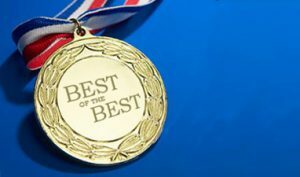 “Best Of” implies you experienced EVERYTHING 2017 had to offer, and I most definitely did not, because I’m too lazy. I haven’t even seen The Handmaid’s Tale because it’s on Hulu and I can’t figure out how to get Hulu on my TV (though I’m told I have the capability. Like I said, I’m too lazy even to figure out. Don’t judge. I know my limitations. I said FAVORITE not BEST). So my list is just my Top Five Favorite things of the stuff I actually watched/read/saw etc. That seems fair. I can’t wait to see what 2018 brings (hopefully more shows that don’t end on cliffhangers. I’m totally sick of that)!!! If you sent me a Self-Addressed Stamped Envelope requesting autographed bookplates for Christmas/New Years, it’s on its way! Due to the unprecedented volume of requests this year, there was a slight delay in finishing all the mail. To be honest, I make this offer every year (you can request autographed bookplates from me on this website anytime, not just during the holidays), but very few actually do. I don’t know what it was about Christmas 2017, but TONS OF YOU wrote in requesting bookplates. 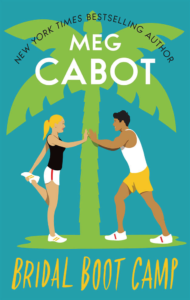 It’s like someone decided that bookplates from Meg Cabot would make a really excellent gift this year, so EVERYONE requested bookplates all at the same time. Like HUNDREDS. This was a bit overwhelming for someone used to doing absolutely nothing during the holiday season, but anyway they’re all in the mail now, and you should receive them soon! Apologies for the tardiness. I will remind people about this offer in November next year instead of on December 9. This movie starring France McDormand as an angry mom who wants the local police to find her daughter’s murderer won’t be everyone’s cup of tea, but I loved it. It has foul language and mature themes but so does life. This is another movie with a lot of swearing where not everything gets resolved in the way you might want, but I loved it as much as I loved the filmmaker’s previous film, Tangerine. You should see both if you get the chance, but probably not with a deeply conservative friend or relative. 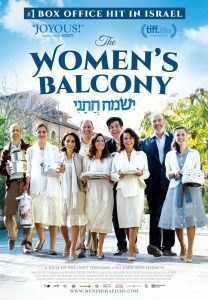 This is a joyous comedy (with neither foul language nor mature themes) about women struggling for their right to worship alongside their male counterparts in modern day Israel. It’s available on Netflix now. 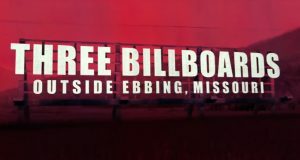 Everyone should see it! EVERYONE! This was one of the funniest little love stories I have ever seen! And it’s based on a true story! I only know a few people who didn’t like it and I still don’t know why. 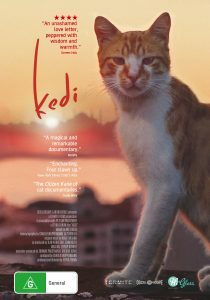 This is a sweet, moving little documentary about seven cats living on the streets of Istanbul that you can watch right now on YouTube . Go do it! Watch it right now (but then come back and read the rest of this blog). Of course I liked some “big movies” too–Thor: Ragnorak, Wonder Woman, and Star Wars: The Last Jedi. But this year the smaller films seemed to move me more. Full disclosure: I haven’t seen The Shape of Water yet, but Judy Blume has, and she assures me that it will be one of my favorites, too. So we all need to see it! 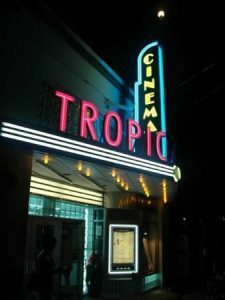 Fuller disclosure, we have this retro non-profit indie cinema in Key West called the Tropic that gets a lot of indie movies and my husband is now the chairman of it, so I see a lot of artsy movies. 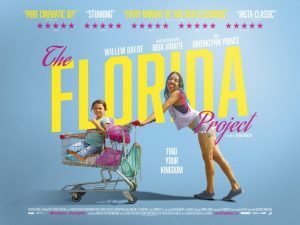 Because the town’s for-profit theater got destroyed in Hurricane Irma, the Tropic is filling the void in the Key West community by showing non-indie movies. But once the for-profit cinema is repaired, the Tropic will go back to showing indie movies. 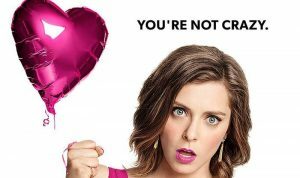 Of course I still love my old faves: Crazy Ex Girlfriend, Brooklyn Nine-Nine, Blackish, Better Things, and the Holy Trinity: My 600 Lb Life/Intervention/Hoarders. 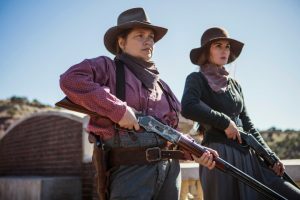 But this year I branched out a little and really got into some series on Netflix, like GLOW and Mindhunter and Godless (Merritt Wever Merritt Wever Merritt Wever). I even liked that German time-travel series, Dark, except it ended on a cliffhanger and now I have to wait two years or whatever to find out what happens. I’m sure I’d like that Mrs. Maisel series if I could figure out how Hulu* works in my house (I bet you couldn’t figure it out either). 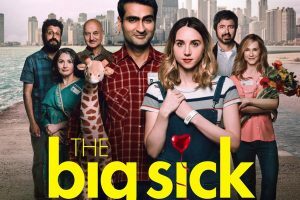 *ETA: Apparently this show is on Amazon, which would explain why I can’t find it on Hulu. In all, 2017 was an AMAZING year for TV and streaming services in general. And in March we have this coming back so it looks like 2018 is already going to be outstanding. 2017 was a great year for books but I hardly got to read any because I was too busy writing (I know you’re like “What? 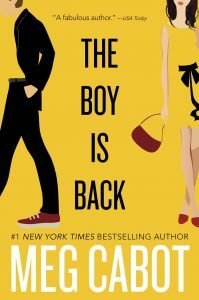 I hardly read any new books by Meg Cabot in 2017!” That’s because they haven’t come out yet. Just stand by. Announcements will be made soon). You heard me yapping about this all year but I will continue to since I super enjoyed it. I feared for the characters and was glad when they turned out OK. That’s what you want in a book. 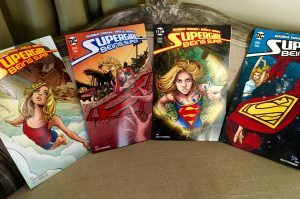 I’ve loved comic books since I was a kid so when someone introduced me to these newly released issues of DC’s Supergirl (origin story – she’s in high school and just discovering her powers) I was easily hooked. The art is beautiful and the story is touching. I can’t believe these came out with so little fanfare and are so (to me) under the radar. 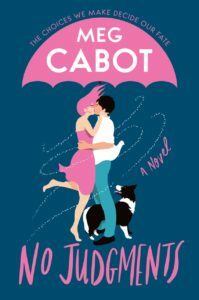 Someone described this book to me as Coming to America meets The Princess Diaries but it’s actually funnier (and steamier) than that. 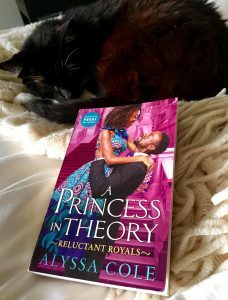 The down-to-earth heroine wants nothing to do with the African prince hero (he initially contacts her via email–Hello, I am an African prince with a vast fortune who desperately needs your help–ha ha! and she deletes the email, as we all would). They later meet-cute and hilarity ensues. 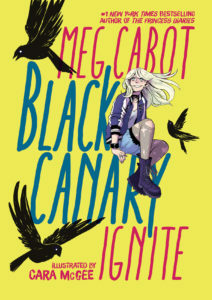 This is a 2018 release (out February 27, 2018) but I was lucky enough to read it in 2017. It’s a MUST READ for anyone who loves royal romances. How I lived so long in ignorance of the Tremeraire series, I do not know. 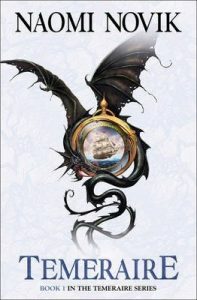 The touching saga of a man and the dragon he “acquires” during the Napoleonic Wars, it’s both historical and fantastical and filled with humanitarianism, if that makes sense. I love these books. I love mysteries. Mysteries and thrillers are my favorite comfort reads, what I reach for in times of crisis, because at the end of most mysteries, there is usually some kind of justice. I read a LOT of them in 2017: The Child by Fiona Barton, The Woman in Cabin 10 by Ruth Ware, The Breakdown by B.A. Paris, All the Missing Girls by Megan Miranda, Mr. Mercedes by Stephen King, Two Kinds of Truth by Michael Connelly, I Let You Go by Clare Mackintosh, The Marsh King’s Daughter by Karen Dionne, among others that I grabbed in airports during the many flights I took. And they were all great. 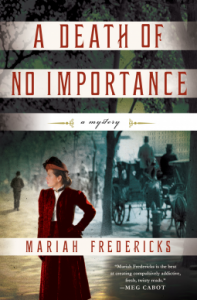 But one of my favorites was Mariah Fredericks’ A Death of No Importance (it will be out in June 2018, but I read it in 2017), a historical mystery about a lady’s maid in turn-of-the-century Manhattan who is thrust into a murder mystery involving one of the wealthiest families in New York! Just when I thought I’d figured out who the killer was, Mariah surprised me again . . . and again. Plus the historic details–especially about what was happening in New York City at the time–was so well done, it completely sucked me in. Loved it. Pre-order it now! Well, that’s it for my Top Five Favorites of 2017. I’ll be getting back to you soon with some announcements about books being released by me in the coming months (or years. Who knows with scheduling, considering I’m still writing them). Until then, stay warm, stay safe, and hope to see you soon!